This beautiful V&A 14 oz. 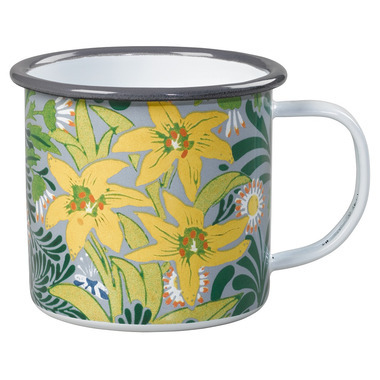 Enamel Mug is decorated with the Bower wallpaper print designed by William Morris. Enjoy it for yourself or gift it to the favourite art enthusiast in your life. This is a pretty enamel mug. However it is too small than what I imagined it to be. I would have loved it if it were larger.